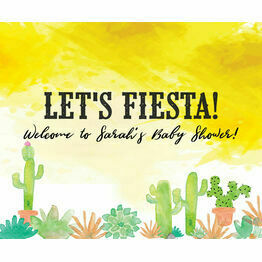 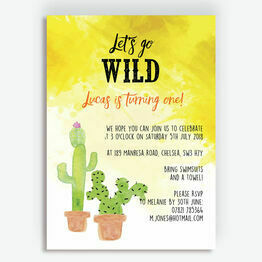 Bright, colourful and full of fun, our cactus-themed range of invites and stationery is perfect for any occasion. 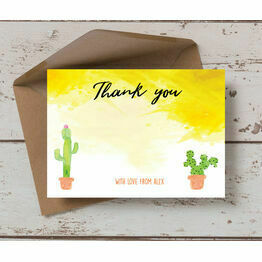 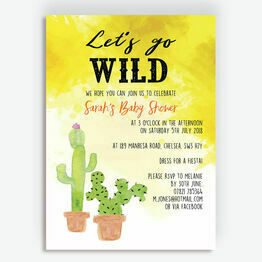 From birthday parties to baby showers, each design features yellow watercolour textures and hand-painted cactus imagery. 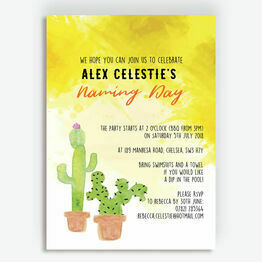 Personalise your chosen design online with a live preview, and then choose from our two printing options to best suit your budget and time constraints.